July 18, 2018 By Tina M Leave a Comment This post may contain affiliate links. Read my disclosure policy here. This sausage hashbrown breakfast casserole is one of our family favorites for a last-minute dinner idea, but of course it’s great for breakfast too! I got it from my fabulously talented mother-in-law and very time I make it someone asks for the recipe. And we call it a sausage hashbrown breakfast casserole because sausage is what I turn to most often, but it can also be made with bacon and ham or even just veggies! When I am making it for someone else I will usually do a combo of meats to make it more fancy (and have even done all three: sausage, ham and bacon). Mmmm…. What I love most about this recipe is that it’s an easy one to turn to when I haven’t been shopping and I need an easy dinner. Keep in mind this recipe calls for green onions and green pepper, but if you don’t have it on hand you can easily just make it without, or use a regular onion, or throw in tomatoes, whatever your family likes! I just go with the flow of what I have in my fridge. Make a hashbrown crust by melting butter over defrosted hashbrowns and then bake in 9×13 pan, uncovered for 45 min- 1 hour at 350 degrees. Cover and cool in the refrigerator. 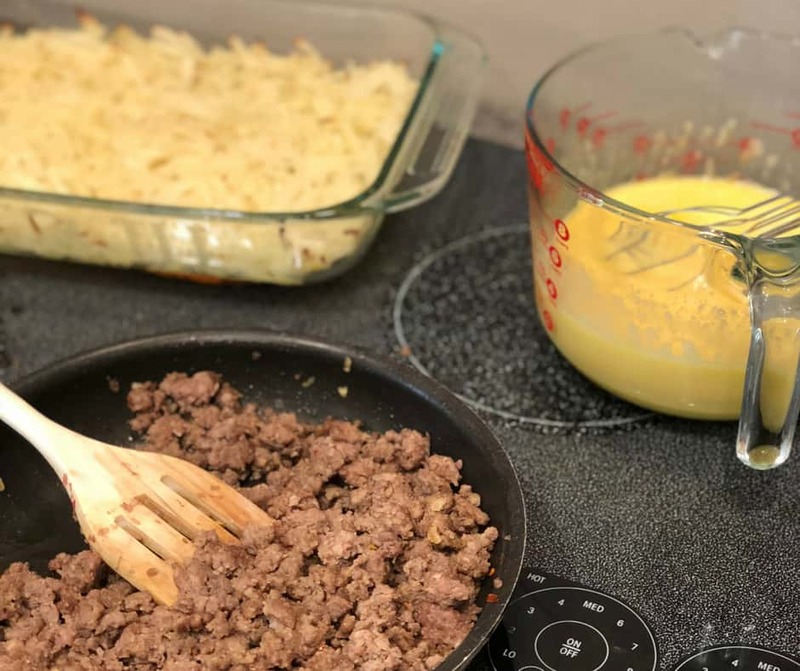 When you are ready to bake your casserole, mix your ingredients together and pour over hashbrown crust. Bake, uncovered at 350 degrees for 1 hour. ***If you do not have time to cook the hashbrown crust for the full amount of time, or if you don’t have time to let it cool, I have skipped those steps and it still turns out. 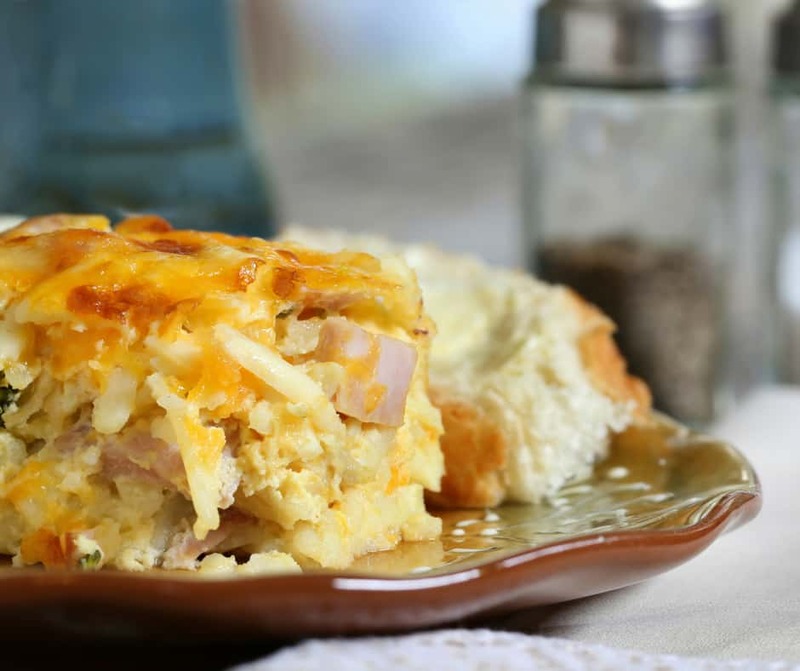 Hope You Enjoyed Our Sausage Hashbrown Breakfast Casserole Recipe! Want an easy breakfast or snack idea? Try our granola bar bites! They are great for busy school mornings, or after school snacks and they freeze wonderfully!